I don't even own a copy of IEEE 1566, but I note that its abstract defines it as a "standard for performance of adjustable speed drives rated 375 kW and larger." What do you call a 200kW drive? I have, however, worked in this field for 28 years. I'll concur with the complaint that words are used imprecisely, but that's the way life is. Had you said "adjustable speed AC drive"? I would say they and VFDs were the same thing, but simply "adjustable speed drive"? No, sorry. As for your characterization of DC technology, the same advancements in microprocessor technology have come to the DC world as well. There's a reason DC hasn't gone completely away. Mostly because the 1940's technology motors still work, and replacing them is an expensive proposition. When it comes to "precise speed or torque control" (or both), then absolute precision in terminology and design are, indeed, crucial. However, in the overwhelming majority of variable speed applications 2-3% accuracy in either is more than adequate, and specifying a system that will give 0.01% precision is a waste of money. Pumps, fans, conveyor belts, screw augers, pan feeders, etc. are among those applications. Machine tools, crane hoists, web lines and the like often do require speed or torque precision, and there are literally thousands if not millions of machines out in the real world running on DC technology, meeting the performance standards required by the application. 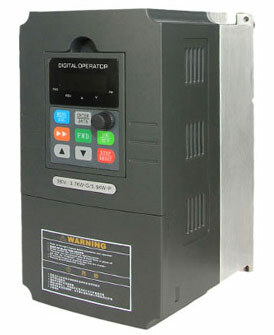 The applications for variable speed drive systems are almost unlimited in scope, and the performance requirements are just as broad. The design of a drive system to operate a pump to maintain a sump level set point is vastly different from designing a drive system to control the azimuth of a 3-meter optical telescope while maintaining sub-arc-second position accuracy. But for every telescope system, there are probably 10,000 sump pumps. And they are all variable (or adjustable) speed drives to anyone not directly involved in the design of the latter.